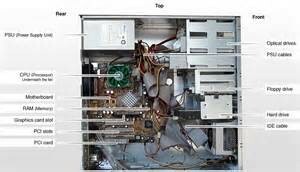 This is a video about what is inside a computer it shows you what it look like enjoy. a computer is very cleaver and can handle up to 20000 mb or kb. a computer has a hard drive / ram /expansion slot/ motherboard/ heat and power supply.